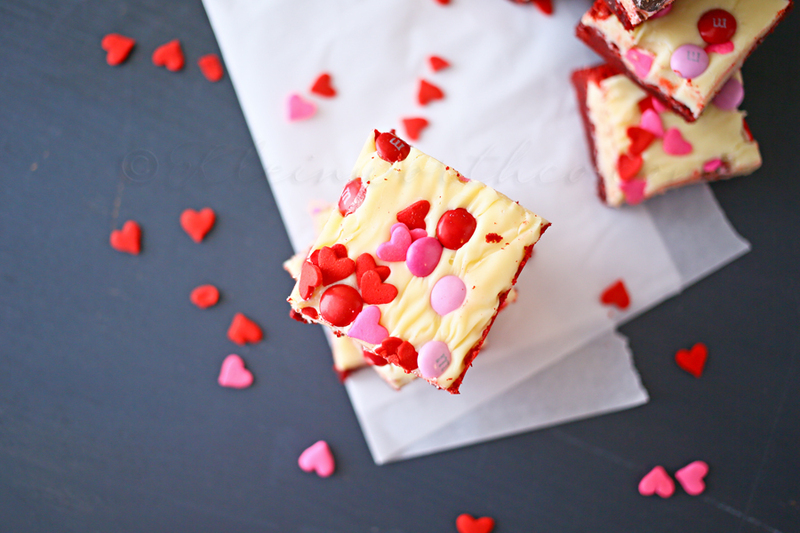 Valentine Red Velvet Brownies are a thick and chewy brownie recipe topped with white chocolate frosting and Valentine sprinkles. Perfect for your sweetie. 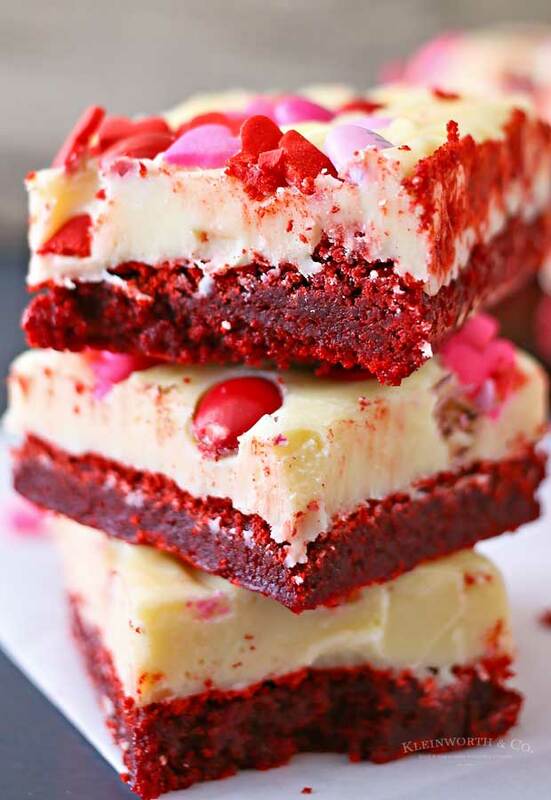 Who loves red velvet? 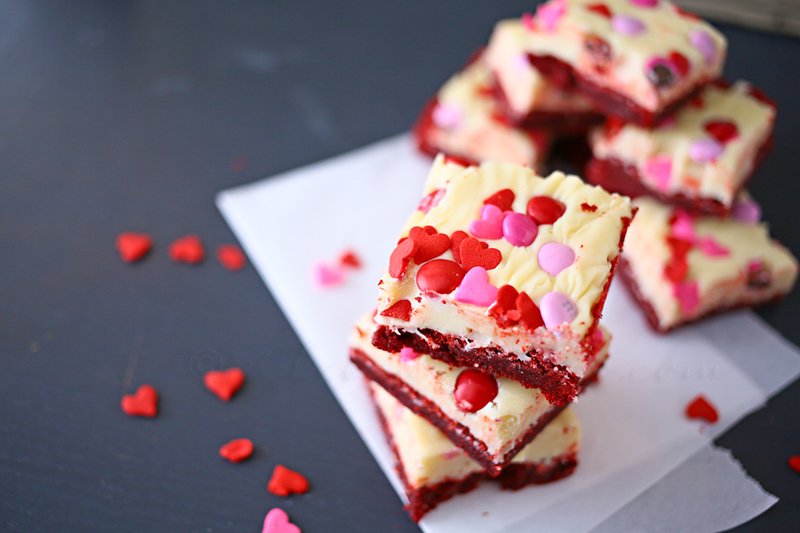 This time of year we are making it often, especially with as much as the family loves these Valentine Red Velvet Brownies. You just can’t beat a sweet treat like this for the holiday. Remember back in December when the fabulous Kristyn shared her Frosted Holiday Mint M&M Brownies? Well I have not been able to get them off my mind. I have been trying to forget them – but they kept calling me. Then the kids saw the post & that was the end of that. I had to make some – only I had a little fun with them for Valentines Day instead. I started with my Red Velvet Brownie recipe that I shared a couple years ago. Then used Kristyn’s idea for the frosting & added some super fun Valentine Sprinkles & M&M’s I picked up on a recent excursion & there you go- a positively delightful goodie that everyone loves. I love Yummy Bar Recipes! Where can I find those adorable heart sprinkles? I picked mine up on Amazon here, but you can sometimes find them at larger grocery stores or cake decorating supply stores too. Can I use pre-packaged frosting for these brownies? Absolutely. 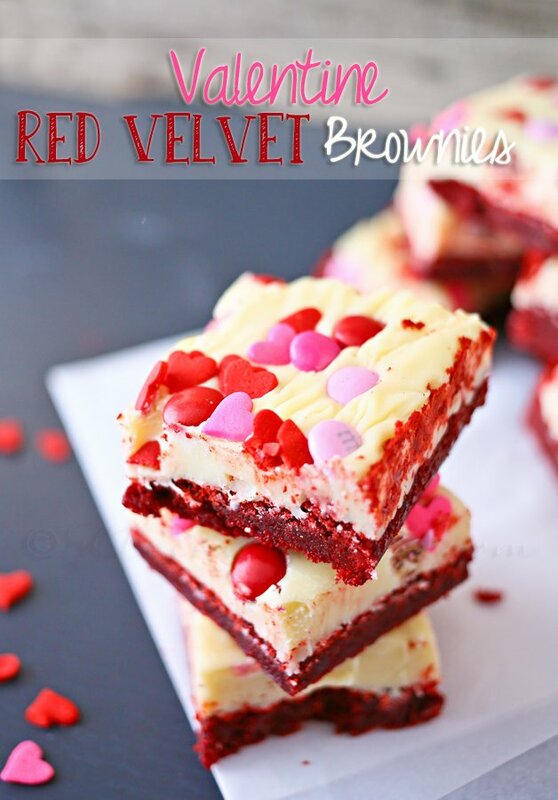 If you would prefer to use a frosting that you can purchase already made, like a cream cheese variety, that would taste delicious with these red velvet brownies. You could also make them with my homemade chocolate cream cheese frosting. That would be incredible! 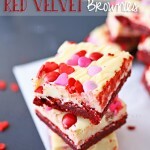 HOW DO YOU MAKE Valentine Red Velvet Brownies? Use either non-stick foil or just use regular foil & then spray with non-stick spray & line a metal 9″x9″ baking pan. Bake until puffed & dry looking- or until a toothpick inserted in the center comes out with some moist batter attached. Once Cool- prepare your frosting. In small saucepan combine sweetened condensed milk & white chocolate chips. Heat until completely melted & combined. Pour immediately onto brownies while they are still in the pan. Top with your M&M’s & sprinkles. Allow to set before cutting. I popped mine in the refrigerator overnight. Oh my- red velvet is a true favorite of mine. Get ready- I may have more to come. Yeah- these didn’t last long. I couldn’t help myself- I barely shared. 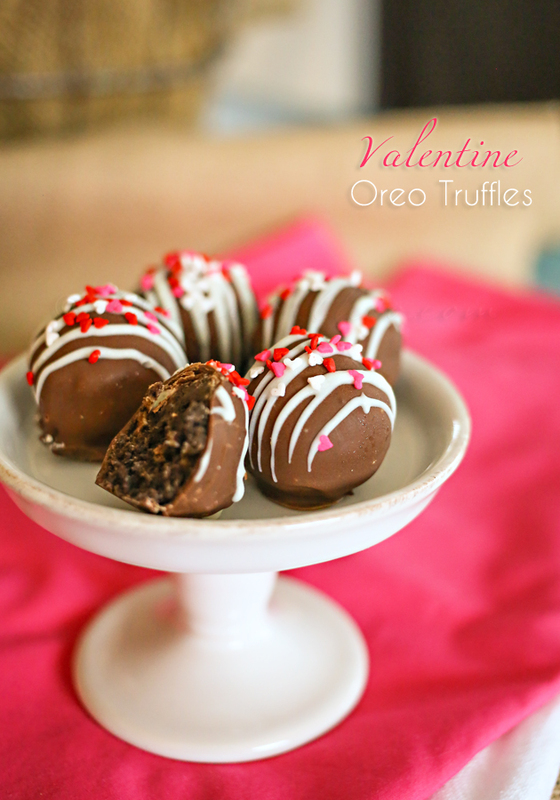 Looking for more Valentine Recipes? Bake until puffed & dry looking- or until a toothpick inserted in the center comes out with some moist batter attached. (about 35-45 minutes). Yum! Those look amazing! Pinning and sharing this. 🙂 Have a great day sweet friend! How cute! I bet they taste even better than they look! Wow these look good!! Thanks for sharing them at Share Your Stuff Tuesdays! 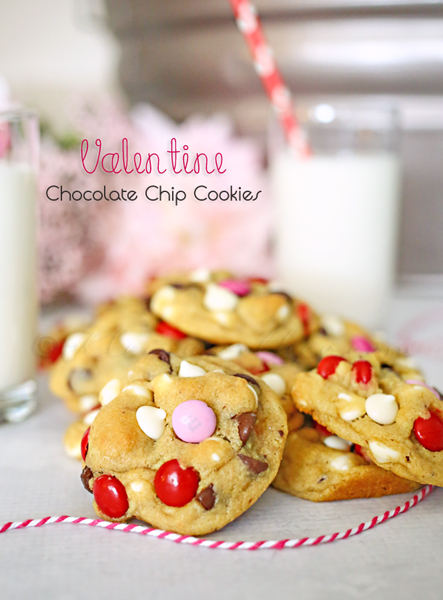 yummy treat for Valentine’s day! They are! What a cute Valentine’s treat!! Oh Gina! 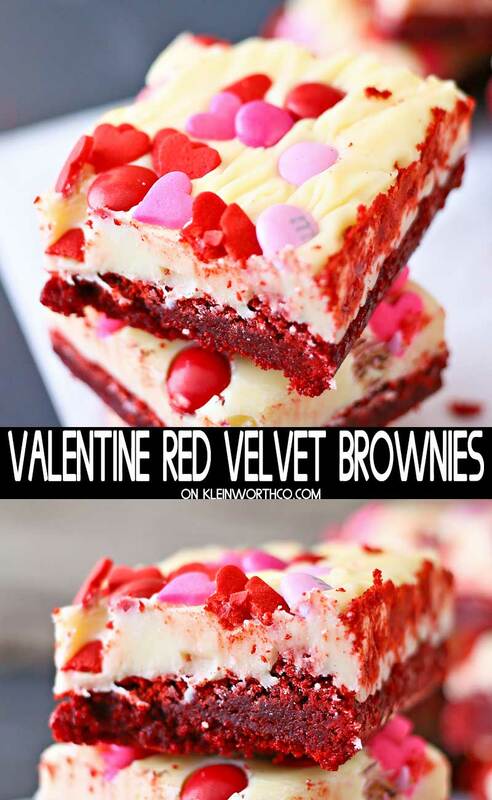 So amazing – just pinned them onto our Valentine’s Food Group Board – if you want an invite, let me know on pinterest! Thank you SO MUCH Beth- I would love that. 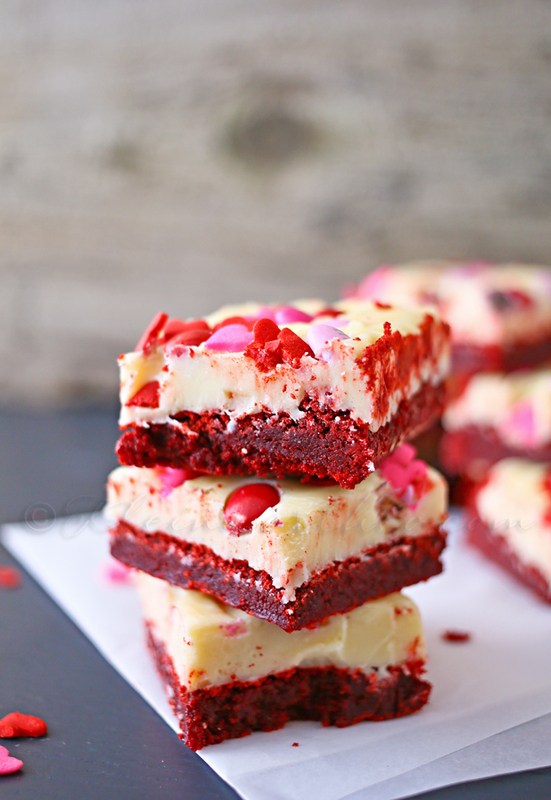 These red velvet brownies look AMAZING! 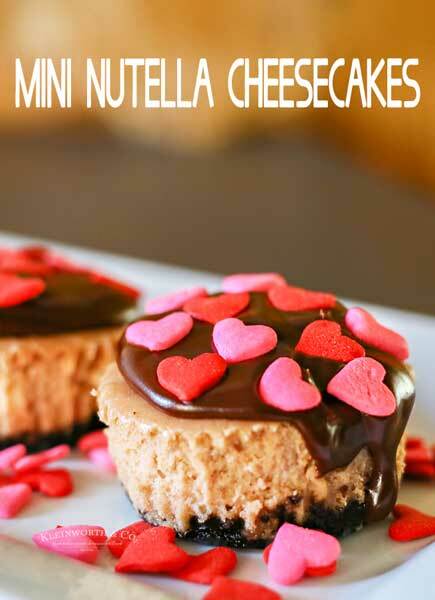 I know my 5-year-old would love to have these as a V-Day treat. Stopping by from Pin It Thursday. Have pinned! Saw these at the weekend re-Treat and had to come take a peek! These look amazing! I’m all about celebrating every holiday with food!! Hey there Gina! Hope you are doing well; I’ve been meaning to email you :o) I just wanted to let you know that, YES, you’ve been chosen again by one of our co-hosts as one of our winners of the blog hop!!!! Woo hoo! Are you up for co-hosting on Monday? If so, I’ll need your 3 preferred methods for blog hop participants to follow you at your earliest convenience. By the way, happy Friday and I look forward to hearing back from you! Wow- how about that!! That’s exciting. I am already booked for Monday but please let me know if there is something else I can do. These look delicious — and SO festive for February! Those look too pretty to eat! I’m sure they are delicious too!!! Pinning. Thanks for the recipe. These are adorable and look GREAT! Thank you for bringing them to Family Fun Friday! Hope to see you next week! blessings! Pinned it! Found you at Just us Four blog hop! I’m going to need these soon! Thanks for linking up with What’s Cookin’ Wednesday! 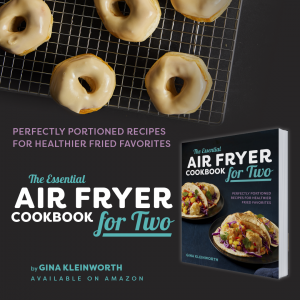 Wow…These look amazing! Thank you for linking up to the Hit Me With Your Best Shot Link Party Last week. Hope to see you and your Awesome ideas tonight at 7 EST! YUM!!!! I’m wiping the drool off my chin. Thanks for sharing via Family Fun Friday.